You are at:Home»News»Is Cell C hawking its infrastructure? Rumours are circulating that Cell C has sold a portion of its network to help defray the billions of rand in debt on its balance sheet and to help fund a new network roll-out. 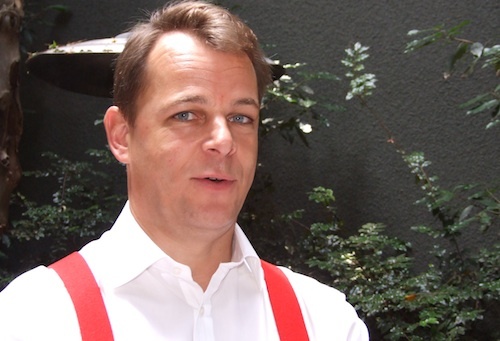 The company isn’t commenting — in response to written questions from TechCentral, all its CEO Lars Reichelt (pictured) will say unhelpfully is that Cell C doesn’t respond to “market rumour”. But widespread talk in the telecommunications industry is that Cell C has sold components of its network infrastructure, possibly to China’s ZTE. The company recently appointed ZTE to provide it with a fast 3G network based on a technology called evolved high-speed packet access, or HSPA+. It now appears that Cell C won’t own the infrastructure ZTE is supplying. Rather, it will be built by ZTE and leased to Cell C. Details, however, are hard to come by. A local ZTE spokesman could not be reached for comment. Calls to the company’s SA office in Sandton went unanswered on Monday. One senior industry source says Cell C has sold its network of cellular base stations to help defray its debt, though this couldn’t be independently verified. The same source says the deal with ZTE was done on a sale-and-leaseback arrangement. Cell C recently hinted that it has restructured its debt, but Reichelt has refused to provide details. Attempts by TechCentral to learn more from management about the company’s debt position have proved unsuccessful. In January, ZTE said it had been awarded a US$378m contract by Cell C and its controlling shareholder, Oger Telecom, for the supply of telecoms equipment. Cell C later confirmed that the ZTE contract was for the supply of HSPA+ network equipment. TechCentral reported in December that Cell C, SA’s smallest mobile operator, planned to spend as much as R5bn in 2010 on new network infrastructure. Much of this money would be used to construct a 3G network (Cell C calls it a 4G network) capable of delivering broadband at speeds of up to 21Mbit/s. Previous ArticleWho will replace Nhleko at MTN?